Another list of quick facts which interest me and so I hope interest you. 1.) The term “Pyramid Texts”, derive their name from the fact that they appear on the internal walls and walls of adjoining rooms of the burial chambers of pyramids. Texts mainly written on the inner surfaces of wooden coffins, the outside of coffins and sometimes also on tomb walls or papyri are known as “Coffin Texts”. All these texts reflect the importance that was attached to securing the happy existence of the dead in the afterlife. The predominant content of these texts were compositions such as ritual spells, the rest were hymns, prayers, litanies and magical spells for warding off dangerous animals. At the beginning of the New Kingdom an innovation in funerary customs took place, which was the use of anthropoid coffins to replace rectangular sarcophagi for new burials. 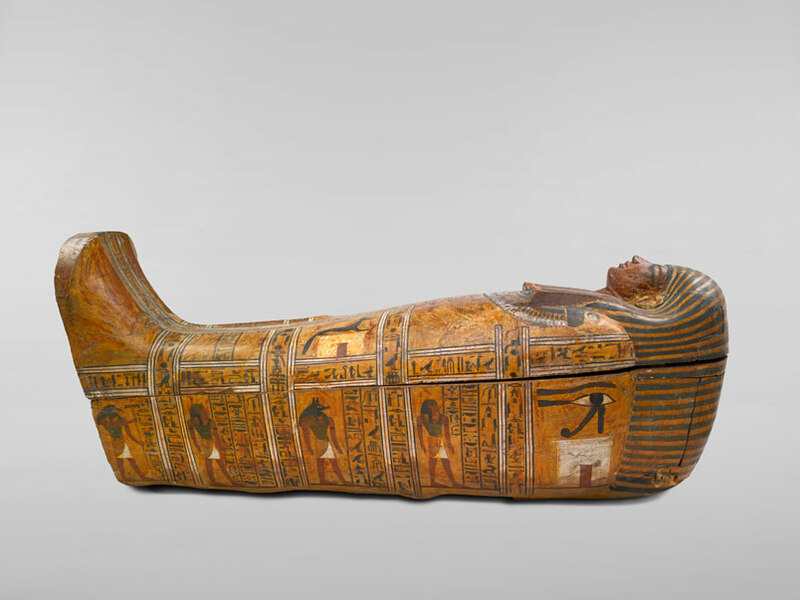 These coffins were so called, because they took on the recognisable shape of a body. In an anthropoid coffin the position of the head and shoulders of the mummy inside can be easily visualised. Funerary texts also developed over time and started to include a lot of art work making them very lengthy. These new style anthropoid coffins lacked sufficient space on their surfaces to inscribe the new collection of funerary spells. This development no doubt influenced the emergence and wide acceptance of papyrus rolls as the usual medium for texts. Papyri of any length, with a variable number of spells, could be rolled up and placed inside the coffin, to be at hand by the deceased if needed. The idea that symbols could be used to represent the sounds of a language rather than represent real objects, is known as the rebus principle and is one of the most significant ancient discoveries leading to the development of writing. Not only did this principle apply to the development of the Ancient Egyptian written language, but it was also the precursor to the development of the alphabets used in modern languages as well. The pictograms and represent “I-deer” and form the rebus “idea”. The pictograms , , and represent “eye-sea-ewe” and form the rebus “I see you”. This principle is adopted in many parts of the Ancient Egyptian system of spelling with hieroglyphs. The term “rebus” can refer to the use of one or more pictograms representing one or more phonograms. In the beginning, Ancient Egyptian writing relied heavily on pictographic signs representing concrete objects. Words which cannot be represented easily by means of a picture, such as proper names, ideas and function words, were difficult to write. The rebus principle provided the means to overcome this limitation. Fully developed hieroglyphs read in rebus fashion were in use at Abydos in Ancient Egypt as early as 3400 BC. A famous Ancient Egyptian rebus statue of Ramses II consists of three hieroglyphic elements. A large falcon representing Horus the sun god – RA, who is standing behind a sitting child – MES, and the child is holding a sedge plant stalk in his left hand – SU. Remember we are not looking at these hieroglyphs from the perspective phonograms. These three items compose the rebus RA-MES-SU or as we prefer Ramesses. Two main types of sound writing evolved from the development and extension of the rebus principle; syllabic and alphabetic writing. The English language is purely alphabetic, although from the example of the rebuses above, it can be seen how easy it is to construct a syllabic rebus from English words. Ancient Egyptian hieroglyphs can demonstrate both types of writing. When you contemplate how language gradually develops, you may be right in thinking that there is no coincidence in the fact that the word “ear” is part of the word “hear”. I hope that was interesting and feel free to ask questions. As this is my first post on the blog I thought it best to set the scene to which my interests and writing will flow around. Egypt. And not just any part the ancient history of the region. Egyptologists divide Ancient Egyptian civilization into four main Dynastic Periods, the Old, Middle, New, and the Late Kingdoms. These main Dynastic Periods are separated from each another by the First, Second, and Third Intermediate Periods. During these Intermediate periods, political divisions and weak rulers fragmented the central government and disrupted the administrative authority of the country. 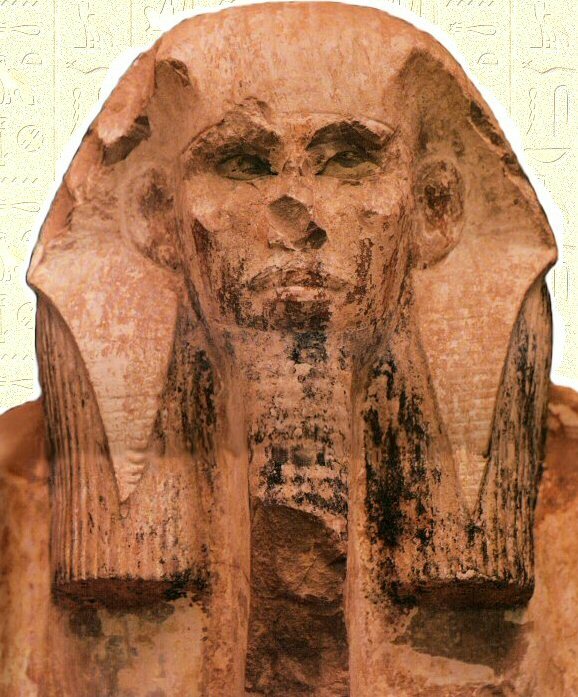 If you are interested in the culture of ancient egypt please continue to visit. I will be posting articles on a regular basis and look forward to and feedback.